What Is The Differeance between Coffee or Dessert Portions? 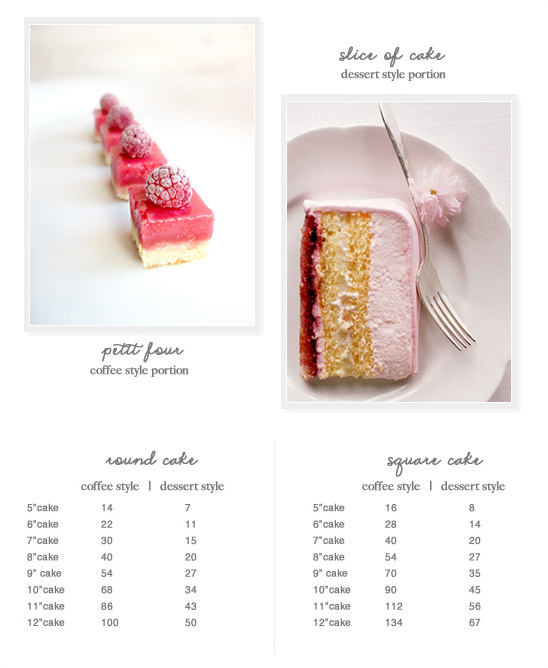 Do you know that in Australia and UK they offer two different portion sizes in cake? A small amount also called a coffee portion (1” x 1”). Half the size of a regular piece of cake, Basically the same size as a petit four! If you are having a three-course sit down dinner with wine and cocktails, and you also have a huge dessert table, chances are you are only going to need coffee portions for your guests. If you are having a buffet-style dinner and want your guests to have a more substantial piece of cake, then you would opt for a dessert-sized portion (1”x 2”). The below guide should give you a rough estimate of what you will need, of course carrying from baker to baker by a bit. Regardless of what size portion you decide on, every person should be offered cake. This is a great guide if you plan on make a cake for several guest. 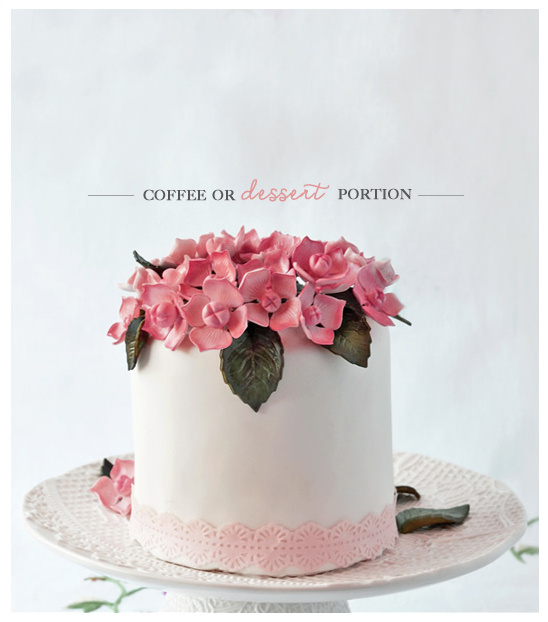 Below is an approximation guide put out by the" Cake Decorators Association Of Western Australia Inc."